Ah, UCLA—the greatest university in the UC system, the greatest in the city of Los Angeles by a long shot, and perhaps the greatest in the world; but hyperboles and (wrongly) disputed claims aside, I'd like to talk briefly and frankly with you about my experience at this great university. My first year at UCLA blew my mind. I was a transfer student and had never put too much stock in the idea of the “college experience,” but my misgivings were immediately dispelled. In college, the floor of the dormitory in which you are placed becomes your community. I ended up on a floor with a bunch of other transfers and international students from Shanghai, and we had an absolute blast. Under the guise of “studying,” we stayed up all night in the common area chatting about philosophy, tech, and Super Smash Brothers; we watched Zoolander; we used our virtually unlimited dining hall privileges on coffee, boba, and some of the best college food in the country; and a buddy from France and I got noise complaints for our stunning late-night rendition of “Roxanne” by the Police. Besides all this, I met a cute girl in my Christian club and joined one of UCLA’s many a cappella groups, in which I revelled in some of the greatest musical euphoria I’ve ever known. Don’t let all the merriment and youthful antics deceive you, however—the academics were stupid hard. I studied a bunch and learned a ton, and I had to trudge up and down multiple huge hills per day to do it (as some say at UCLA, “every day is leg day”). College wouldn’t be college without academics. One of my greatest joys in college started as an elective course on the Yiddish language, which so fascinated me that I added a Germanic Languages minor to my math major. The capstone on my college experience, however, was the cute girl in the Christian club. I went to Tokyo with her and some other club-members on a summer mission; six weeks a spark or two later, we were going steady. We spent our senior year getting to know each other, and the next summer we got hitched. Van was a Master Level Instructor at MeriEducation. He truly had a cult-following. Parents loved him, students adored him, and his fellow instructors admired him. Van played an integral role with revamping the MeriEducation math curriculum for its test prep program. In the fall of 2017, Van will be pursuing a Ph.D. at UCLA. Yep, always a Bruin! Whoa, right? Yea. Van is the man. 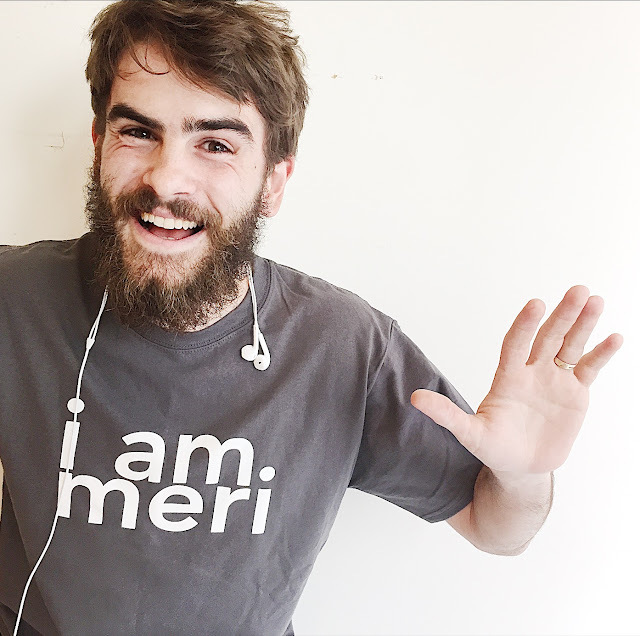 Fear not, he will still be part of MeriEducation, even if it's not full time. 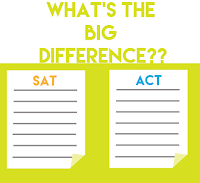 SAT vs. ACT | What's the Big Difference? Choosing between the SAT and the ACT is one of the first steps students must take on the road to college test prep. Before we dig into what makes them different, it is important note what makes them similar. BOTH tests are offered by the same company (College Board) and BOTH tests are used by colleges to evaluate a student’s application for enrollment. Additionally, both tests with test you on the same subjects; both tests will test you on your understanding of math, reading comprehension, writing and language, and graph and data interpretation. They also each have an essay (The essay is optional, but come on. Take the essay. Do it.). Here at MeriEducation, one of tne of the most common questions we are asked about the SAT and ACT is: Which one do colleges prefer? The answer is: almost all colleges have no preference! You are FREE to choose the test that you feel you will perform best at! WOOHOO!!! 2. Athletic scholarships: there are opportunities for almost every type of physical sport and skill.